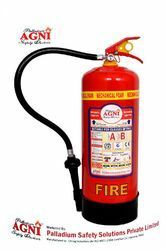 Creating a niche of Fire Extinguishers such as Clean Agent Fire Extinguishers and Foam Type Fire Extinguishers at its best, with utmost quality. 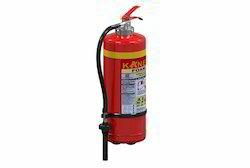 K. V. Fire Chemicals (india) Pvt. Ltd. Discharge Time: Not Less than 10 sec. Operating Value: Squeeze Grip Type with Nozzle or Hose Pipe. Suitable For Class A & B Fires Involving Flammable Liquid, Petroleum Products Or Where The Blanketing Effect Is Essential.